From the main dashboard, hover the cursor over the account manager's name in the upper-right corner of the screen, and select My Account from the menu that appears (Figure 1-1). Click the Billing section on the left side of the screen (Figure 1-2). Scroll down, and click on the plus sign at the bottom of the screen (Figure 1-3). 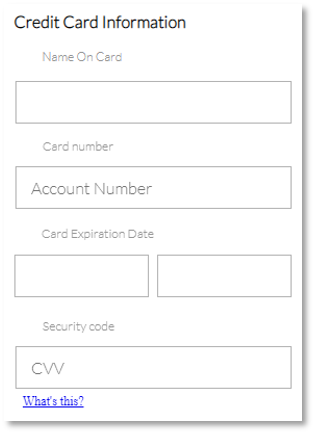 Fill in the fields for the credit card information (Figure 1-4). 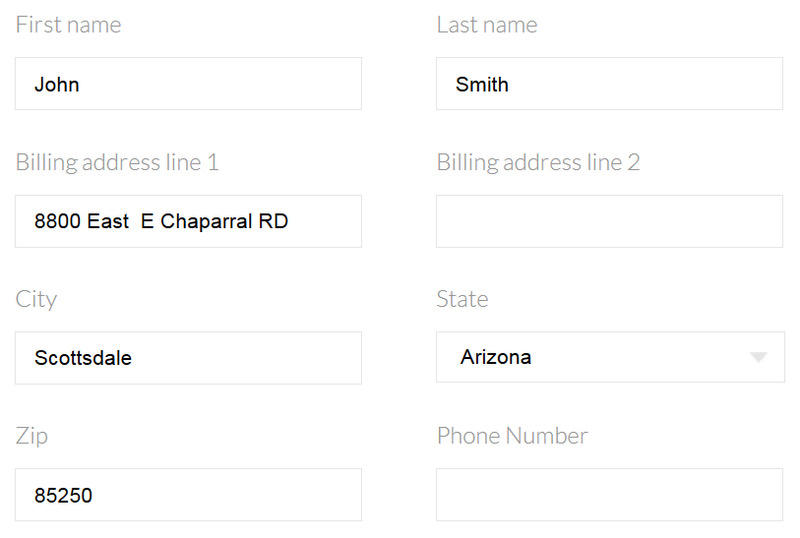 Fill in the fields for the billing name and address (Figure 1-5). Click the green Save button at the bottom of the screen to add the new credit card to your Nextiva account.